In this fantastic capture by John Fowler, we see the famous House on Fire Ruin in Mule Canyon, Utah. 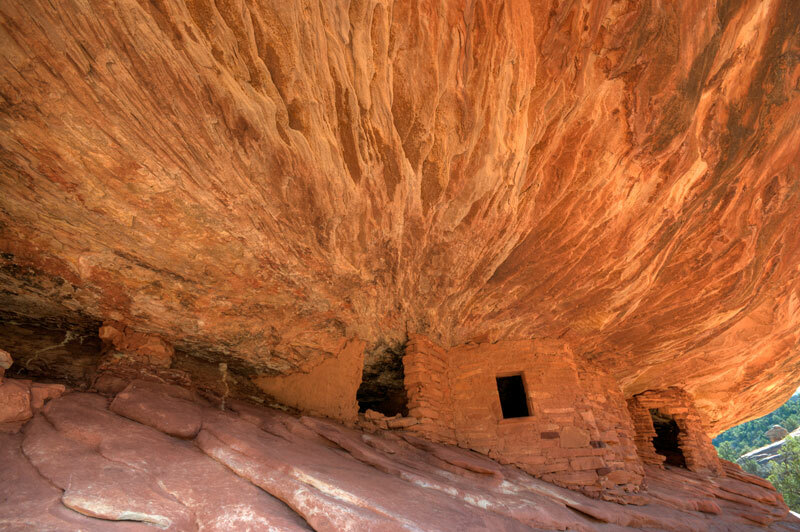 Located in the ‘South Fork’ of Mule Canyon, House on Fire is about a 3 mile (4.8km) round trip to reach. At certain times of the day (apparently late morning is best), when the sun hits the ruins just right, it lights up the rock above, making it look like flames. While House on Fire is the first and most spectacular ruin, you can find more as you continue to hike into the canyon.